The Vuze was the first consumer 360 VR camera that could also shoot in 3D. This was a revelation when it was first released last year, as previously you had to spend thousands to combine both 360 and 3D in one camera. 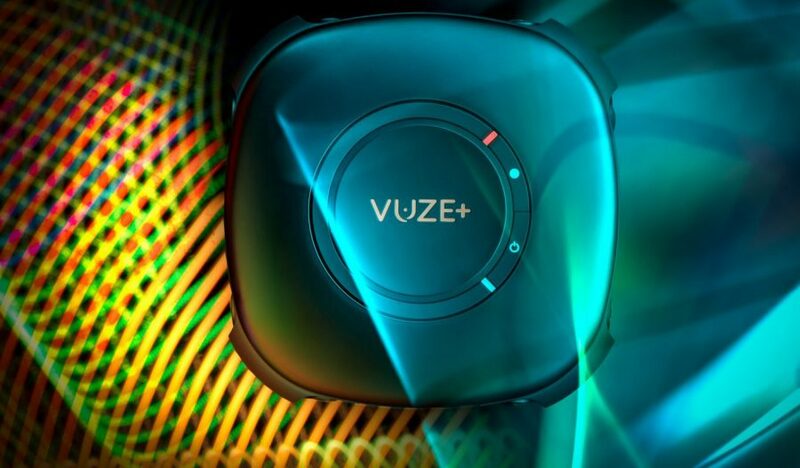 The Vuze offered a way to create even more immersive content without breaking the bank. Humaneyes are the company behind the Vuze, and during this years CES they announced a major update to their software as well as a next generation camera, the Vuze+. The Vuze+ is an upgraded version of the original Vuze, it looks almost identical but has a lot of distinguishing features. Humaneyes state on their website that the Vuze+ comes fitted with improved optics to improve video quality, specifically 8 custom Sony FHD sensors. The Vuze+ will also be able to capture spatial audio to mimic real life sound as closely as possible (very important when viewing VR video on a headset) thanks to four MEMS 48KHz microphones. The body of the Vuze+ has been redesigned to offer more protection that the older model. You’ll be able to safely use your camera in heavy rain thanks to the IP65 water resistance rating and your camera will also be safe from dust and dirt. The headline new feature in the Vuze+ is the ability to broadcast a live stream in 360 3D. You’ll be able to connect to all the major live-streaming services with the click of a button and broadcast in 4K quality. Vuze are also launching their own live-streaming software called Vuze LIVE which should make creating live-streams extremely simple. Many improvements also come in the form of a big firmware update that’s said to improve stitching quality as well as add the ability to render in the ProRes format. These software updates are also available for the original Vuze camera. While the Vuze was priced as an expensive consumer 360 camera, the Vuze+ is arguably more of a pro level device. The price has increased to over $1000 and some of the features require more than just a passing knowledge of how to work with 360 video. There are no example video from the Vuze+available yet, so it’s hard to judge if the upgrade is worth it. In my opinion this will largely depend on whether the video quality has significantly improved in this latest version.